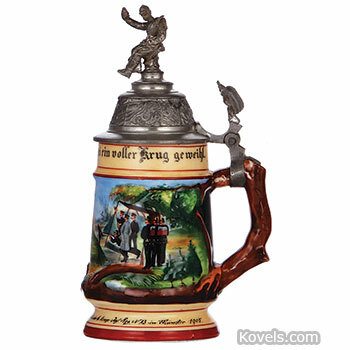 Steins have been used by beer and ale drinkers for over 500 years. 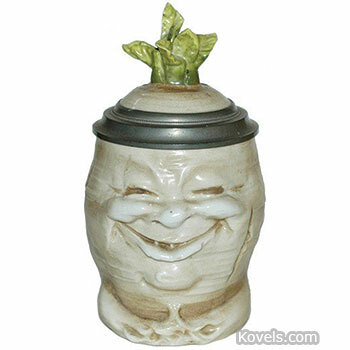 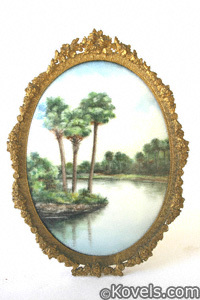 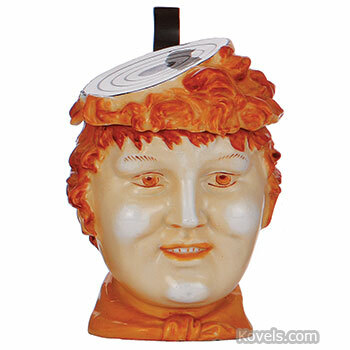 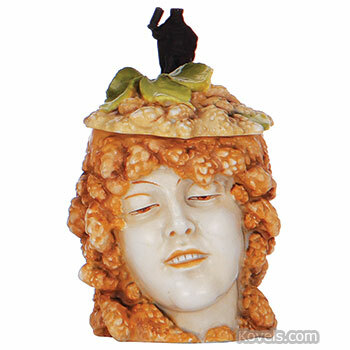 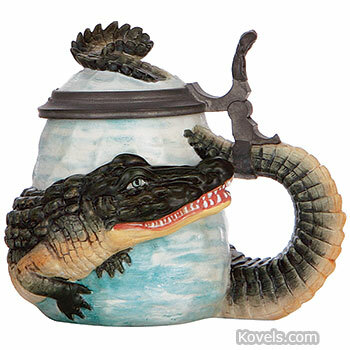 They have been made of ivory, porcelain,pottery, stoneware, faience, silver, pewter, wood, or glass in sizes up to nine gallons. 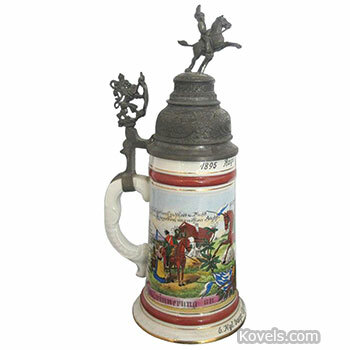 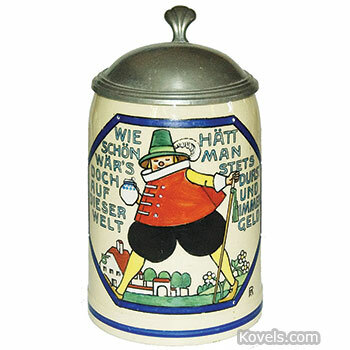 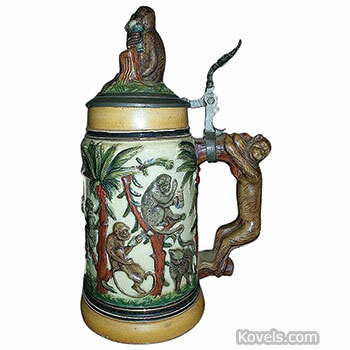 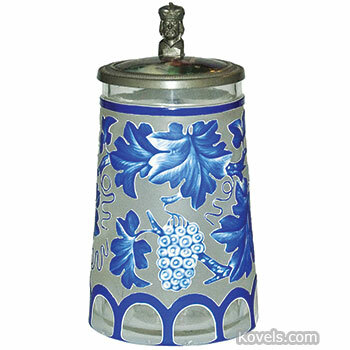 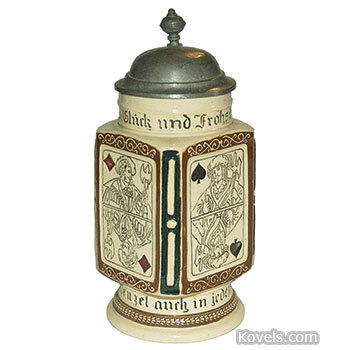 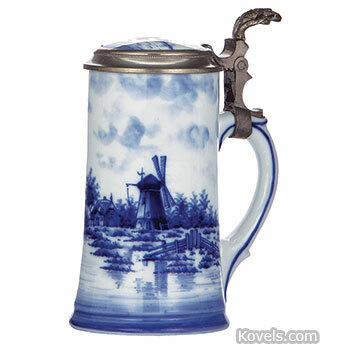 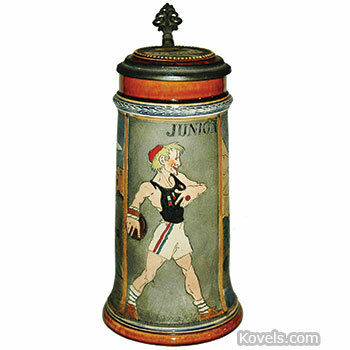 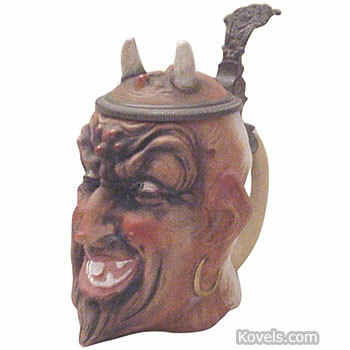 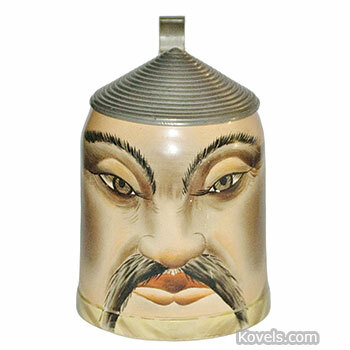 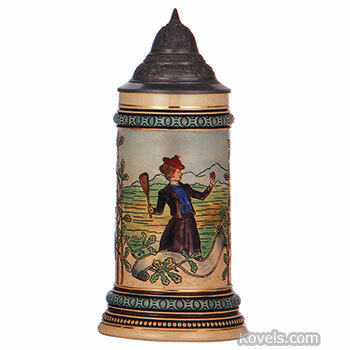 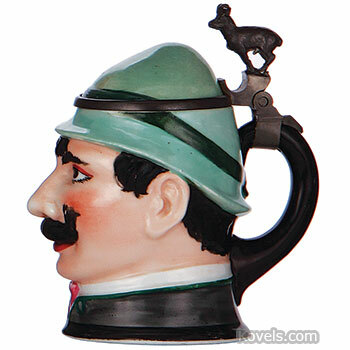 Steins, by the nineteenth century, were primarily European-made, of stoneware, and had pewter lids. 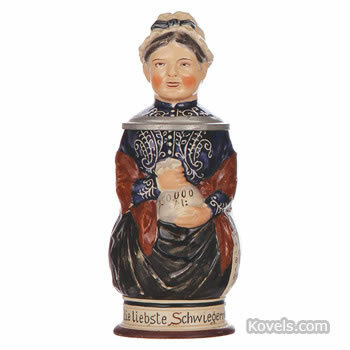 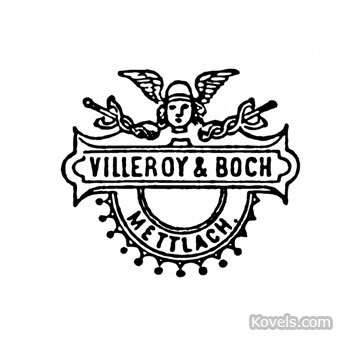 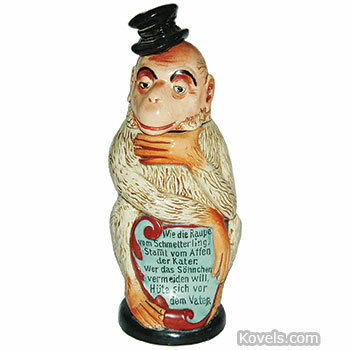 Although some were made by Mettlach, Meissen, Capo-di-Monte, and other famous factories, most were made by less important German potteries. 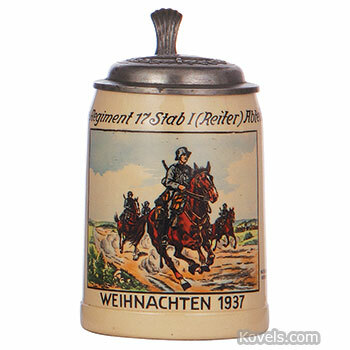 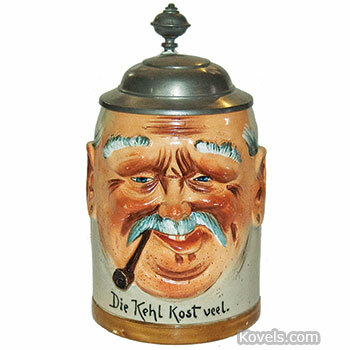 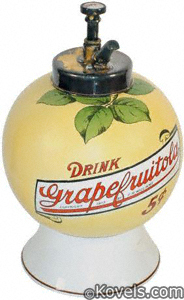 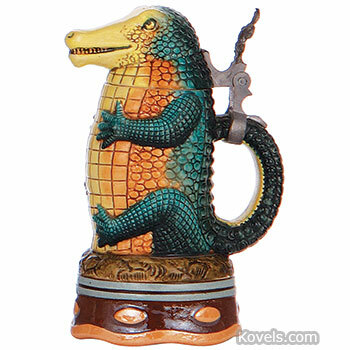 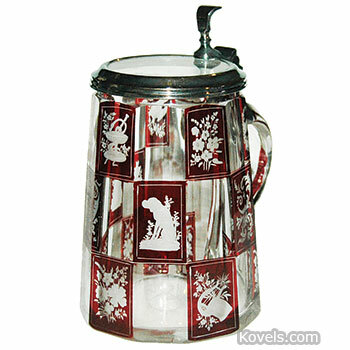 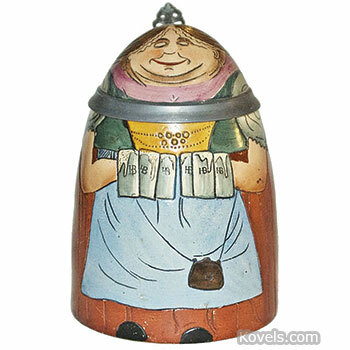 The words Geschutz or Musterschutz on a stein are the German words for "patented" or "registered design," not company names. 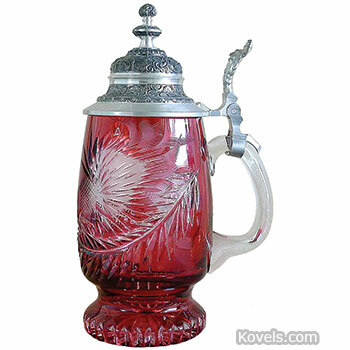 Steins are still being made in the old styles. 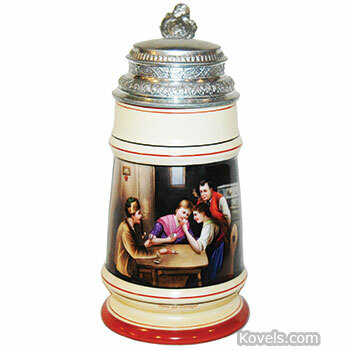 Lithophane steins may be found in the Lithophane category.